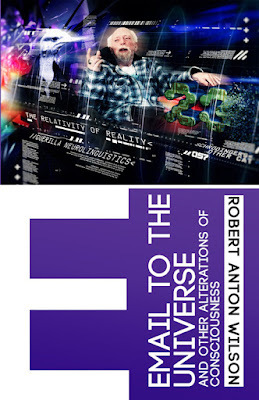 We begin the discussion of Email to the Universe by Robert Anton Wilson with the "Introduction" by R. Michael Johnson, a new item exclusive to the just issued Hilartas Press edition of the book. Please chime in with comments to this post. Greg Arnott takes over in our next episode; for next week, please read pages 1-37 in the Hilaritas Press edition, which in the ebook takes you up to location 782, the "Thoughts to Ponder" from Dennis Kucinich, my former Congressman. If you aren't familiar with him, Michael Johnson is a musician (plays guitar), music teacher, writer, blogger and RAW scholar who lives in northern California. 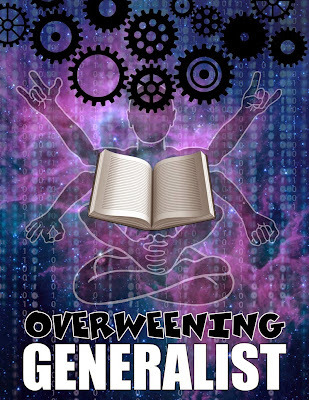 He comments on this blog as "Michael," and writes at the Overweening Generalist blog. Michael created the alt.fan.wilson Usenet group, which was an early place for RAW fans to hang out online. Michael explains, " I’d been online for a few months and discovered Usenet. After a few days I wondered if there was a Wilson group. There wasn’t, but there was an option to start one, and it was apparently so easy to do that even I was able to do it. I posted to myself, feeling a tad absurd, but then someone showed up - I forget who - and wrote, “I can’t believe there’s a newsgroup for RAW, this is cool! I just kept posting little things - miniblogs? - and eventually there was a small but ardent community." The Usenet group later morphed into the thriving Robert Anton Wilson Fans group on Facebook. created by Dan Clore at the suggestion of Brian Shields. In his intro, Michael explains that Mike Gathers discovered that he could find "lost" articles by RAW by searching on eBay. The two Michaels began spending quite a bit of money, and time, acquiring old men's magazines, old occult publications and other periodicals. They were joined in the hunt by Eric Wagner, Dan Clore, Marc Lutter, Ted Hand and Jesse Walker. Eventually, at Gathers' suggestion, the pieces were digitized and posted at rawilsonfans.com. The site is now rawilsonfans.org, and Gathers is the current site host. Although Michael doesn't make a point of noting this, Robert Anton Wilson did a pretty bad job of keeping track of keeping track of his past publications, correspondence and other papers. And so, when RAW put together Email to the Universe, he drew on the hard work of the two Michaels and the other people I have just mentioned, using many of the best pieces that had been tracked down and posted to the website. Since that time, other work has come to light and been posted at rawilsonfans.org, including pieces that I or some of my correspondents have found. I recently posted photos of some of the folks mentioned above, and I should tell you a bit more about them if their names are unfamiliar to you. I've introduced Michael Johnson to you, and I've tried to make it clear what a vital role Mike Gathers played in the "secret history" of Email to the Universe that Michael outlines. 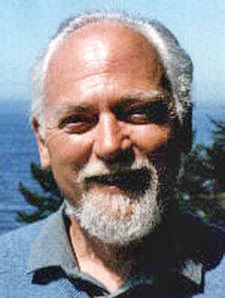 Eric Wagner is the author of An Insider's Guide to Robert Anton Wilson. Dan Clore runs Robert Anton Wilson Fans on Facebook. Ted Hand lives in the San Francisco area and regularly interacts with RAW fans via his Twitter. Jesse Walker is an author and an editor at Reason magazine. I can't tell you much about Marc Lutter and have never corresponded with him. Lutter is German and was formerly in touch with Michael. 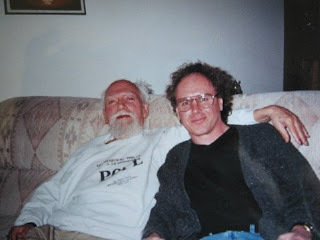 You can learn a lot about "RAW fandom" by checking out Robert Anton Wilson Fans on Facebook, see also RAWnet at Hilaritas Press or read some of the posts in this blog; there is no one place that can capture the phenomena. The back story of Email to the Universe isn't Michael Johnson's only topic. Michael also shows off his unsurpassed understanding of RAW's ideas and recurrent themes. For the most part, I don't want to recapitulate that here; read the piece and post your comments. But I did want to draw attention to one sentence I highlighted in my Kindle copy of the book, where Michael writes, "Earlier in his career Wilson wrote about longevity and human immortality; in this work, he writes about death." Art for Michael's blog created by Bobby Campbell. Hey there beaming in from Paonia,Co and I am excited to engage in this reading group. Antero Alli's 8 Citcuit Brain Coarse just ended on Friday and although my Circuit-3 craving for intellectual stimulation in a group setting would perceive this as a kind of bummer, this should prove to be an excellent opportunity to keep my Lasagna Flying High. Fnord. Fnord. Richard Rasa said Bob told him he didn't want anyone to try and channel him. I would love contact from Bob from the other side, but I haven't received anything definitive. "dove sta memora" comes from Guido Cavalcanti's "Donna Mi Prega". Pound translates the phrase as "where memory liveth". Olga the ostrich comes from "The Southern Star". Bob encouraged all his fans to buy the DVD. I enjoyed the movie mildly. Bob told me intended the Guns and Dope Party to get everyone to vote for themselves. I love Michael's intro, and I will likely comment more later today. I think the amount of pages will vary between weeks; I'll just go home and work out a "schedule" to see how that will go along tonight. The idea is to go through three of the essays/haikus a week. I'm a fast and monomaniacal reader so this didn't seem like too quick of a pace for me...if there is disagreement I'm sure we can shorten the readings. I think this was discussed when we went over Cosmic Trigger, specifically when we examined the Higgs introduction where he ruminates on how CT was a "book of its times," but it has always been a source of dismay to read RAW's earlier writings on life-extension and longevity research. To have such an optimistic prediction, which RAW held with such enthusiasm, and to see the meager progress we had made... That said I've always thought RAW approached death with such grace, especially when we consider his hopes. I think this will be a fun book to read since we are getting to look at RAW from so many different angles in time and space. A big thank you to Michael Johnson and all the others who worked so hard to preserve these materials and keep the lasagna flying. Younger fans such as myself are grateful for these resources that have been preserved and have served to backup papers, arguments, and for the sheer pleasure of being exposed to as much of RAW's eclectic oeuvre as possible. And thank you to Tom for the opportunity to have some fun. "Tale of the Tribe" always seemed like such a missed masterpiece to me, especially after looking at the prospectus at the end of TSOG. I really would have loved to had a more thorough take on the evolution of the internet from RAW. Although, considering how much the internet has changed and has changed our culture in so few years I'm not sure how accurate it could have been. I am a proud, or something, member of the Guns and Dope Party. Considering that third party membership operates in the same manner as being a political independent in my state it seemed like the thing to do after our last election revealed how stunningly absurd our political system is- I felt like if any of the old people at the Circuit Court office were offended to see the name of the party...good. I think Michael provides some excellent questions in his introduction that can serve to get us all thinking about next week's discussion. I enjoy reading Michael's blog Overweening Generalist for the past year or so. He seems to me to have a information rich style of writing that is, also, evident in this introduction. I particularly enjoyed the sentence with the list of topics RAW writes about and the comment on many of the of the methodologies being compared to yoga as a possible life long discipline. Having missed previous 'read-throughs' I would love to join in with this one. What a delight to find people continuing to value RAW's work. Right now, in London, a wonderful stage adaptation of 'Cosmic Trigger' (receiving rave reviews) has proven that Bob's ideas remain relevant (perhaps more relevant than ever before). Thanks so much for creating this reading group! This book is in the top of my favorite RAW titles for a number of reasons – mostly because the writing is so great. Like many of RAW's books, this one covers a wide range of subjects, but instead of covering a lot to support a central theme, like in Prometheus Rising, or to support the narrative, like in Cosmic Trigger, Email to the Universe goes into one topic at a time, pretty much. One result of that is that you can appreciate it piece by piece, savoring a short but in-depth excursion, before moving on to the next (Michael's Intro helps the reader get a handle on this process without taking away from the discovery and joy in reading). But in the end, it's all about the writing. The chapter "Dreams of Flying" blew me away when I read it. And I would love to see "The Horror On Howth Hill" made into a graphic novel (Anyone interested? I know a publishing company . . .). 1.) RAW admits to a variant of a stance of “Intelligent Design.” Have you seen this particular take before? In the NOTE RAW describes this "Intelligent Design" as "decentralized intelligence, rich in circular-causal feedback." "When humans have climbed out of the atmosphere-gravity well of planetary life, accelerated sixth circuit contelligence will make possible high-energy communication with “Higher Intelligences,” i.e., ourselves-in-the-future and other post-terrestrial races." I think RAW entertained the notion that this feedback loop works non-linearly through time, as Jack Sarfatti has been suggesting for years. If that's the case, then RAW's "Intelligent Design" could appear as a giant four dimensional art piece created by the piece itself, including "ourselves in the future." Ah glad to see you are tuning in Rasa. I love the graphic novel idea and would love to toss around some ideas. That being said I would like to touch on the the section where Micheal talks about the inexhaustible implementation of the meta-models by artists/writers/readers.Im curious what this discipline that's mentioned would entail. In yoga we have certain postures,breathing,etc. In music we have scales,chords,theory etc. These are all things I can phisicaly practice.So would the discipline mentioned be more of a studious kind of disipline? Surely it goes beyond just studying these subjects for as Antero Alli states "I don't feel I'm learning a damn thing until it can be applied in some way" referring to over stimulation of Circuit 3 without implementation. Thoughts? I really enjoyed this new intro (as I do most of Mr Johnson's writings) & am looking forward to rereading "Email To The Universe" along with the many RAW aficionados out there in internet land. I always learn new things I've never thought of during these reading groups! Respect for everyone who assembled and published "Email To The Universe" and or those responsible for this online reading group. I've been insanely busy the past couple of months; only ordered the Hilaritas edition yesterday so I will wait to comment on the Introduction. I can comment on the book's title. Through the lens of qabala, "Email To The Universe" appears strongly resonant, even cognate with, "keep the lasagna flying." 5 + 9 = 14 + 9 = 23. In qabala you can do the stops as thou intuitivly wilt. This interpretation stops with the 23 which seems like a RAW signature. 23 to U (you); U = 26. This dovetails with my reading of 23 as a death/rebirth meme. 5 + 9 = 14 = Daleth (door)= the path between Sephira 2 and 3 - 23. 23 to U (6); 23 + 6 = 29. Chapter 29 in Crowley's "The Book of Lies" points to a recipe for esoteric flying food. The Dickinson poem Eric quoted seems very appropriate to me both generally, and with this interpretation. Needless to say, this confirms my bias that RAW ranks as one of the most significant Hierophants of our time. Can't wait to get the new edition and reread "Email To The Universe." I received an email message that they shipped it today. Joshua, studying the authors Michael mentions often leads to applying their tools to one's one life. Kozybski, Fuller, Bandler, and Pound give tons of practical tools for transforming one's life. I haven't read much by de Gourmont, Shannon, or Wiener. Received the book today about 36 hours after placing the order; fastest book delivery ever from the internet. I enjoyed the Introduction and the frontispiece of Olga in royal apparel. Never realized the synchronicity of Mike Gathers' name until now. Mike gathers RAW material and now we have this great book! For me, magick accelerates around Wilson events. I feel that direct contact with some kind of post-biological energetic form of RAW becomes possible with this reading group. "Where two or more are gathered in my name ..." In other words, his work remains vitally alive beyond his physical demise and that life force, his life force, can get experienced in some form through his work. This has begun, for me, with an abundance of synchronicities. The minor ones include an abundance of 23's this past week beginning with two striking ones presented back to back on Fareed Zakaria's GPS show this past Sunday (available on YouTube). This morning I was preparing a set up sheet for my next client on Saturday with the news playing in the background. I kept hearing my client's last name before putting it together that it's the same as the Special Counsel just named by the DOJ to investigate the current American/Russian political shenannigans. This seems the perfect moment to read/discuss RAW. The more major synchs have to do with the Note section which I read in order to answers Michael's question. I have not seen this particular take on Intelligent Design before. I have seen very similar ideas, but never formulated in this way and never so explicitly connected with Intelligence. "...feedback from all parts to all parts and without centralized sovereignty ... that does not function hierarchically..." sounds precisely like the behavior of what Deleuze and Guattari call a rhizome. The current blog I'm writing is called Magick, Linguistics and the Plane of Immanence. It continues the comparison of Deleuze and Crowley with special guest Robert Anton Wilson. Wilson remains one of the most significant heirs of Crowley's work, he expanded and brought that work much further, in my opinion. The opening paragraph in the Note section resonates with that blog. I would call this Note section a Plane of Immanence i.e. a multi-leveled metaphysical (linguistically created) framework to introduce concepts and ideas; the setting, as it were, in the sense of set, setting, and dosage. Gurdjieff begins Beelzebub by creating a Plane of Immanance as does Crowley in Magick in Theory and Practice. For further reading on Planes of Immanence see "What Is Philosophy?" by Deleuze and Guattari. 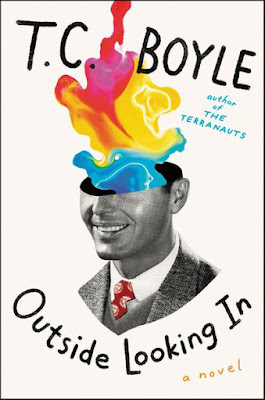 Comparing "alteration in consciousness" with "a kind of controlled schizophrenia' as a source of creativity also directly connects with Deleuze and Guattari. They aimed to replace psychoanalysis with schizoanalysis. Their two magnum opi are titled Capitalism and Schizophrenia Volumes I and II. Volume II's introduction is on the rhizome. "... visits by "angels" and "gods" state it in even more archaic argot." This sentence synchs with a main aim of the Deleuze/Crowley series of pieces I'm writing to replace Crowley's archaic argot with the religiously neutral, post-modern argot of Deleuze. The notion brought up in the Intro's penultimate paragraph of viewing/using RAW's meta-modelsas as a discipline makes an excellent point and perhaps uncovers a significant part of Wilson's agenda. I hear what you are saying. I am currently reading Science and Sanity and although I'm only on page 90 or so Korzybski has been quite enlightening. I look forward to delving into the other mentioned authors as well but for now I think I have plenty to read between Email to the Universe and Scince and Sanity. Science and Sanity seems like a worthy text. Bob sure spent a lot of time with it. Mike Johnson wrote a nice piece at Overweening Generalist called "Why Korzybski Waned". Academic Joyceans (and other academics) never seem to mention Korzybski, even though he said things similar to, say, Badiou, decades earlier. I get frustrated reading Sheldon Brivic and Jonathan Culler when they fail to mention Korzybski but Whorf and Sapir frequently come up. http://overweeninggeneralist.blogspot.com/search?q=korzybski - Dr. Johson's "Why Korzybski Waned". Yes Science and Sanity seemed pretty important to Bob as he refers to it quite often and even has it on his list of must reads for an intelligent conversation about the the 21st century. The list I am referring to exists on the Robert Anton Wilson site under the books section were he gives a recommended list of bear minimum titles to read and digest before being able to have an intelligent conversation about the 21st century. I have never read any Sheldon Brivic or Jonathan Culler but I will be sure to give them a read. I love that "Brain Books" article. In the opening section of "Chaos and Beyond" Bob says he read "Science and Sanity" thirty times, as I recall. I've only read it twice. Bob occasionally mentions Sheldon Brivic. I like his books on Joyce. I met him at the North American James Joyce Conference in 2011. I enjoy Culler but not as much as I enjoy Brivic.I haven't read Brivic's book on race in American novels. I haven't read the Brain Books article but yes I do recall Bob saying elsewhere that he read Science and Sanity thirty times. I recall him mentioning also that at one point he read it in two days! Wow. It still boggles my mind as to how he did that. Joshua, if I get your drift, my first thought is that the "meta-modes" or "meta-models" form a discipline when one agnostically apprehends them — consciously observing the world with all of these meta-models available but no one dominant. That's my abstract take on this idea with Bucky Fuller's "universe is non-simultaneously apprehended" in mind. It can be like Yoga or learning a musical instrument in that you can practice or experiment with "changing your mind." For example, part of the discipline might be to do the exercises in Prometheus Rising and Quantum Psychology. I find just consciously going through a day, keeping an eye on how often I find myself slipping into robotic behavior, can be a challenging discipline.